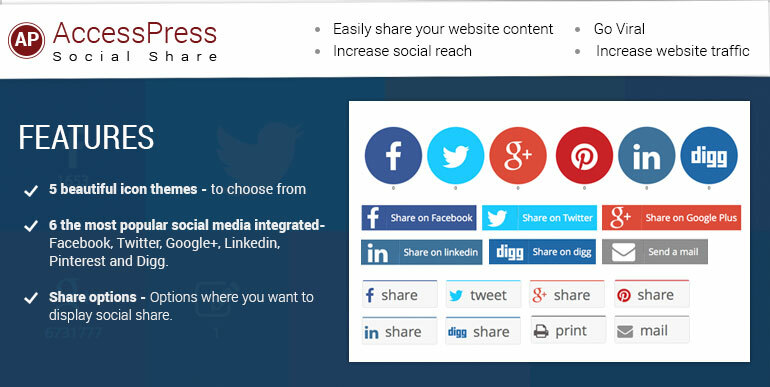 AccessPress Social Share is a Free WordPress plugin to allow anyone easily share website content (page, posts) on major social media (Facebook, Twitter, Google+, Pinterest, LinkedIn and Digg). You can select the social media profiles you want to activate and select one of the designs from beautifully designed 5 design themes. The available social media in FREE version are: Facebook, Twitter, Google+, Pinterest, LinkedIn and Digg. Also there is an option to share it by email or print the page. Major 6 social media included (Facebook, Twitter, Google+, Pinterest, LinkedIn and Digg). More available in Pro versoin. For more features like more social media profiles, more design themes, etc. – upgrade to Pro. Hey Buddy!, I found this information for you: "WordPress Social Share (Facebook Share, Twitter Share) Plugin – AccessPress Social Share". 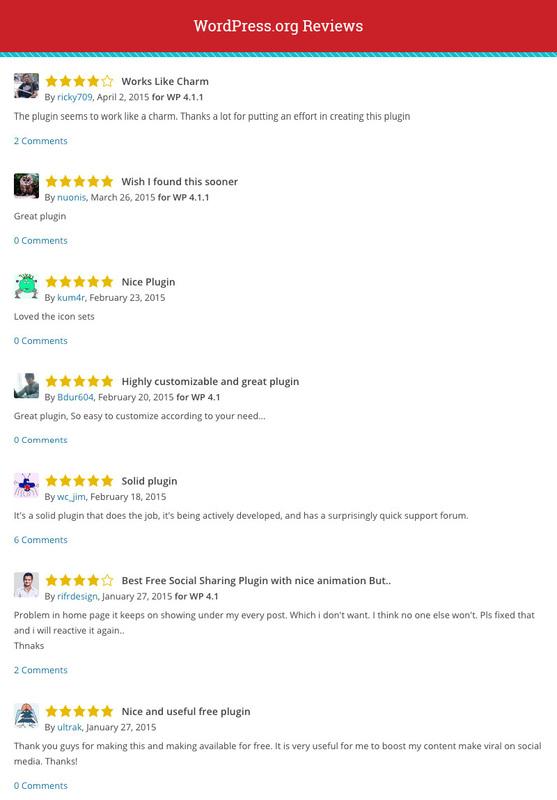 Here is the website link: https://access-keys.com/wordpress-plugins/accesspress-social-share/. Thank you.